Whether your business, organization or club is located in Surry Hills, the Sydney CBD, Alexandria or the Inner West, we can offer you a huge range of garment options decorated with embroidery, screen printing or digital heat transfers. Not only can we offer you great advice to help you choose your apparel, we also can help with your selection of Promotional Merchandise. Loved the work that EmbroidMe Surry Hills did for me. The staff are courteous & friendly & the job was completed quickly. The quality of the clothing is great. The work shirts are very long lasting & the embroidery is excellent. I would definitely recommend Embroidme Surry Hills to others. I highly recommend Embroidme Surry Hills, I found their product knowledge really helpful and the stitching on our hats was perfect! Very easy to deal with and had very competitive prices. David assisted me with corporate merchandise for some high profile conferences and against tight deadlines. A pleasure to work with and merchandise was of great quality. 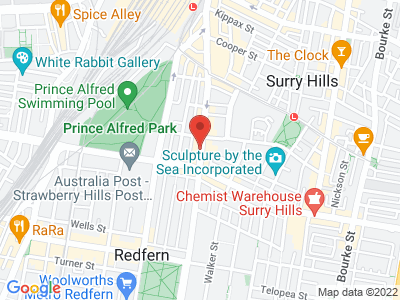 Regularly order from Surry Hills EmbroidMe. Excellent customer service, very speedy reply they don't keep you waiting. Quality products - would recommend. Great response for an urgent job we had; Just the right number of updates along the way so I could be assured of the status. Consistently excellent service and products. Would recommend to anyone looking for embroidered goods. David and the team were a pleasure to work with and created an incredible embroided product for my work team. 100% will recommend in the future. Thanks again! So pleased we came across David in the Surry Hills branch... he is so very knowledgeable and happy to help get you the right product. The turn around time was incredible. Great service, will definitely be a repeat customer, thanks guys. Excellent quality, great customer service and quick turnaround time. Would recommend to anyone! Friendly and helpful. We have used EmbroidMe Surry Hills many times for our uniform needs. It's always a pleasure dealing with them. Excellent quality caps and singlets for touch football team. Very friendly and helpful shop manager. On time and well priced. Highly recommend.